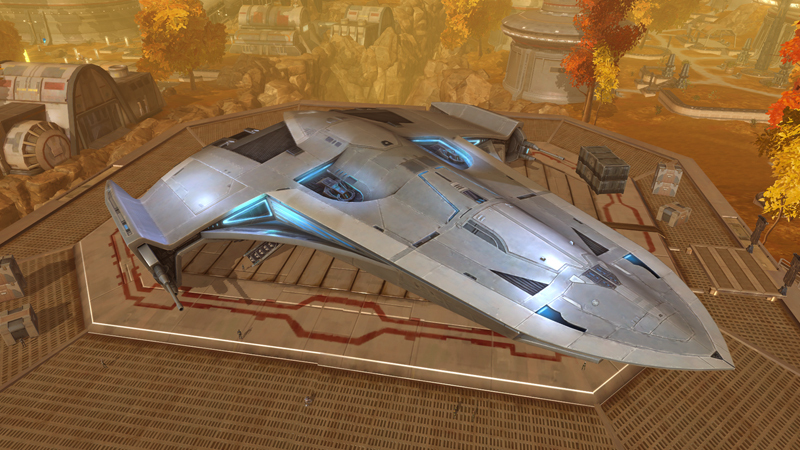 Description: The Umbaran support ship, also known as the Separatist support ship, was a starship used by the Umbaran Militia during the Clone Wars. When the planet Umbara was invaded by the Galactic Republic, the Umbarans deployed several support ships to aid the Separatist navy in their fight against the Republic's aerial forces, and was used to protect a Separatist supply ship sending long range missiles to support the local Umbaran militia. The Separatist supply ship was later destroyed by Fives, Jesse and Hardcase after they broke the Umbaran codes and attacked the supply ship with Umbaran starfighters.